Jepun Suite – Angel House Ubud. Boutique 3 suite hotel or Whole Villa Rental. Authentic Bali experience. Unique Accommodation. Angel House Ubud. Boutique 3 suite hotel or Whole Villa Rental. Authentic Bali experience. Unique Accommodation. Jepun suite (Frangipani) has its own entrance with balcony with table and chairs. This room can be configured with either 1 Extra King bed (240×200) or 2 king single beds (120 x 200). Perfect for 2 travellers or children travelling with their parents. Jepun comes equipped with a digital security box, enclosed insect proof ensuite bathroom with non-slip tiles and roll in shower, TV & DVD player. The air-conditioned and fan cooled bedroom features custom designed handcrafted furniture, fine Balinese linens and soft furnishings, reading lights and tea and coffee making facilities plus unlimited filtered drinking water. Free unlimited Hi speed fibre optic wifi available throughout Angel House. 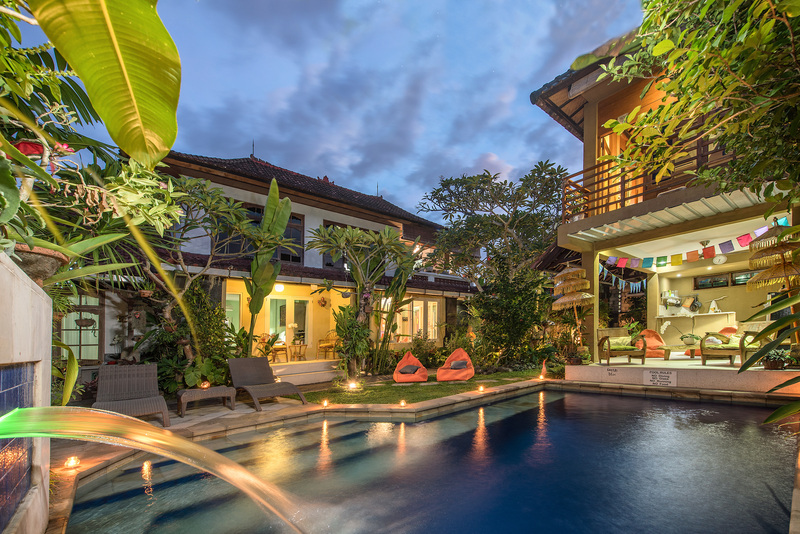 Experience the quiet and the real Bali by staying with us at Angel House Ubud. holiday in Bali a holiday to remember. Angel House has 3 guest suites, Sandat suite, Jepun suite or Lumbung suite. The air-conditioned and fan cooled bedrooms features custom designed handcrafted furniture, fine Balinese linens and soft furnishings, digital security box, reading lights and tea and coffee making facilities plus unlimited filtered drinking water. ‘Nyepi’; Balinese day of silence. Angel House gives guests an authentic and culturally appropriate experience.